What a night! The Kelowna Rockets 2004 Memorial Cup championship team was inducted into the BC Hockey Hall of Fame Friday night in Penticton. The Rockets - in the Team Category - were recognized for their 2-1 win over Gatineau, winning all four games at the four team tournament. Here are some of the highlites of the evening. Eleven players from the 2004 Memorial Cup winning team were there. Captain Josh Gorges, Shea Weber, Blake Comeau, Cam Paddock, Brett Palin, Darren Deschamps, Tyler Mosienko, Nolan Waker, Chris Ray, Justin Keller and Simon Ferguson. The coaching staff was well represented as then head coach Marc Habscheid was joined by assistants Jeff Truitt, Ryan Huska, Larry Keating and Kim Dillabaugh. Also on hand for the induction ceremony was Paul Mitchell and Bill Winters. These two gentlemen were co-chairs for the Kelowna Rockets bid committee for the 2004 Memorial Cup. The lawyer and accountant were rock stars during the teams presentation to WHL governors back in November of 2002. They did enough to sway the governors to pick their bid over the one presented by the Vancouver Giants. It was nice to see Gavin Hamilton Senior on the Rockets bus as we made our way down to Penticton for the ceremony. Hamilton SR. has been the chairman of the board for the Kelowna Rockets for 23 years. Hamilton SR. is the father of Rockets GM Bruce Hamilton. Hamilton SR. was presented the hall of fame plaque on stage from Calgary Flames President of Hockey Operations Brian Burke. One of the highlites of the evening was the speech given by captain Josh Gorges. It didn't surprise me that Gorges pulled it off like a true pro. The Buffalo Sabres defenceman spoke straight from the heart and didn't read a word of what he said. Gorges had one word to describe the Kelowna Rockets organization. 'Class' was the word he used. The now 29 year-old also paid tribute to athletic therapist Scott Hoyer. Gorges spoke glowingly about Hoyer, a trainer that every player loves. Hoyer was a friend. Hoyer provided a listening ear. Hoyer gave advice to the players when they asked. It was nice to see Hoyer recognized in that way for being the bridge between the players and the coaching staff and being more than just an employee who tapes ankles and orders new sticks. I thought it was a great tribute to Hoyer, who is quietly going about his business behind the scenes. Among the heavy hitters from the NHL that were in attendance were Brian Burke, Trevor Linden (President of the Vancouver Canucks), Patrick LaForge (Oilers President and COO), Bob Nicholson (Oilers Vice Chairman) and Brad Treliving (GM Calgary Flames) to name a few. Speaking of Linden, is there any NHL upper management type more accessible than him? Since taking on his role with the Canucks, Linden is a p-r machine. The ex-Canuck captain was offering himself up in the auction portion of the Hall of Fame ceremony last night where fans could bid on a package that including dinner before a Canucks game with him. He also sweetened the pot half way through the bidding process by allowing the winning bid to meet two players after the Canucks game. It seems that Linden has been given the green light to do whatever he wants to do to get the fans back on their side. Maybe Linden realizes that Canuck fans in BC are fading. An auction package at the ceremony last night for the Calgary Flames went for more than the Canucks package. To be fair, the Flames package did include flights to the game. The Canucks did not. Congratulations to colleague Dan Russell for picking up the first ever Bernie Pascall award. It will be given yearly for broadcasting excellence in BC. On the ride back home on the Rockets bus, it was interesting talking to Josh Gorges about his fallout with the Montreal Canadiens. That will remain confidential. It was also pretty cool to see him wearing his 2004 Memorial Cup ring with pride. Brent Howarth was one of nine, 1986 born players on the Kelowna Rockets roster in 2003-2004. A 9th round bantam draft pick in 2001, the Selkirk Manitoba product was in the same draft class as Tyler Spurgeon (1st rd), Blake Comeau (2nd rd), and Mike Card (4th rd). What a draft!! Howarth played three seasons with the Rockets before playing his 20 year-old year with the Selkirk Steelers where he scored 49 goals in 2006-07. 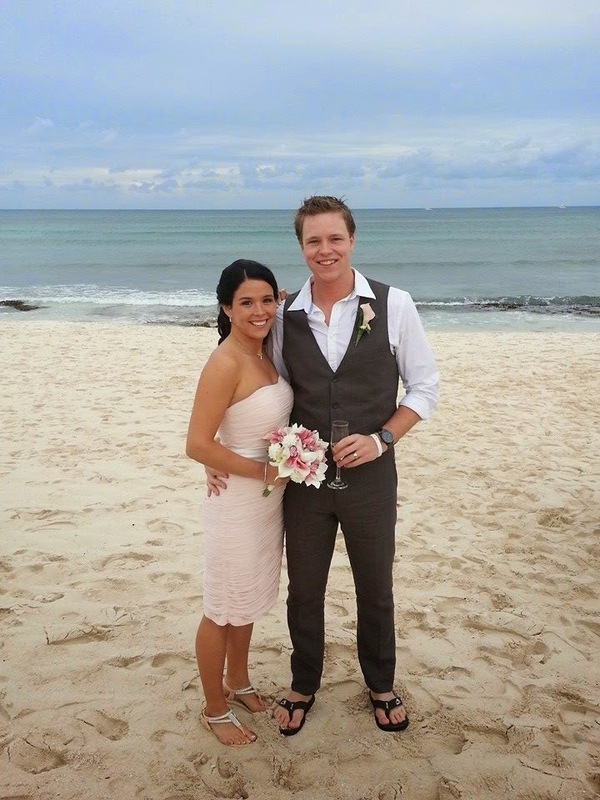 No longer playing the game, Howarth is living in Selkirk, married to his high school girlfriend Jodi. Howarth is a locomotive engineer at CN Rail. 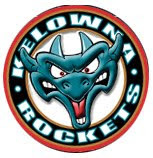 Kelowna Rockets General Manager Bruce Hamilton believed his team needed an enforcer to 'keep the flies off' his skilled players if they wanted to seriously challenge for a Memorial Cup championship in 2004. Insert 19 year-old DJ King in a trade with the Lethbridge Hurricanes that season. 'Kinger' could intimidate. The Meadow Lake, Saskatchewan product could fight and most importantly he could skate good enough to keep up with his line mates. King would drop the gloves eight times in 28 regular season games with the Rockets, squaring off with Kamloops Blazers enforcer Cam McCaffrey three times. His most memorable scrap was a heavyweight tilt with Seattle's Zack Fitzgerald at the Key Arena in his Rockets debut on January 10, 2004. Oh ya, he also fought at the Memorial Cup. Remember this? The now 30 year-old would go on to play in 118 games at the NHL level with St. Louis and Washington. 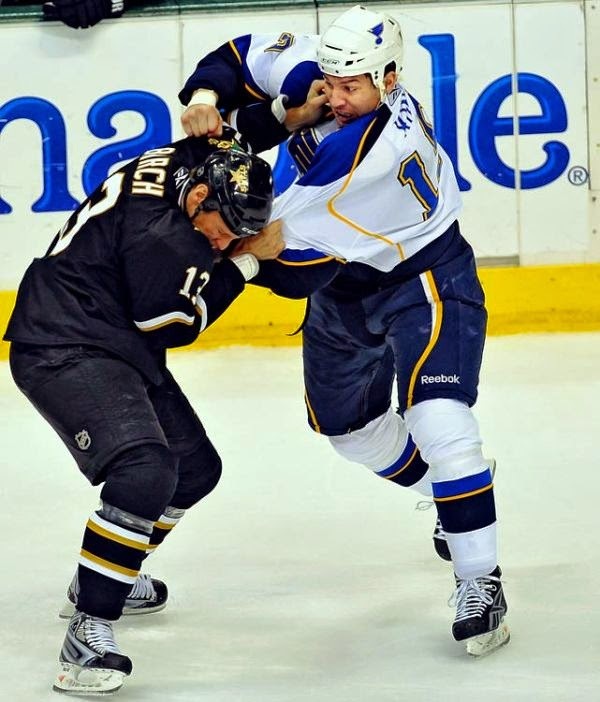 King was originally drafted in the 6th round in 2002 by the Blues. What is King up to now? After retiring following the 2012-2013 season, DJ tells me after taking a year off he is now the co-owner of Tawaw Cabins (Waterhen Lake) near Meadow Lake. The older brother of Dwight King of the LA Kings, DJ will become a first time father in August when his wife Chantal gives birth. Kim Dillabaugh was like a good mechanic. If the Kelowna Rockets had a goaltending problem, he was there to fix it. Over 11 seasons, Dillabaugh quietly went about his way. The soft spoken Duncan, BC resident wouldn't overhaul what a goalie prospect brought to camp, but like a good technician (they are called technicians not mechanics right? ), he tweaked in an effort to make them better. 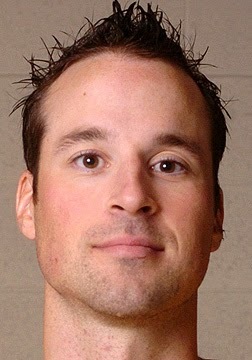 Dillabaugh first worked with Kelly Guard in 2002-2003. Guard is a Memorial Cup champion. 'Dilly', as he is known around the Rockets dressing room, also worked closely with Derek Yeomans, Kristofer Westblom, Torrie Jung, Adam Brown and most recently CHL Goaltender of the Year Jordon Cooke to name a few. Dillabaugh made those players better. He made the rest of the coaching staff better. He listened to the goalies. He worked as much on the mental side of their game than the physical side. He was always in their corner. I would often speak with 'Dilly' about the teams goaltending, specifically when things weren't going well, which by the way was a rarity. Almost every single time, Dillabaugh defended the player and the position he knows best. You knew the marriage between Dillabaugh and the Rockets wouldn't last long though. Dillabaugh was having too much success helping LA Kings prospects Jonathon Quick and Martin Jones with their game. The Kings took notice and finally offered him an expanded role with the NHL team. Had they not, Dillabaugh would have been picked up by another team. He is just that good. On the surface, many fans won't see the loss of Dillabaugh as significant. Trust me, when it comes to the most important position on the ice - goaltending - the Rockets couldn't have had a better person in place. It is safe to say the new goaltending coach, whoever he may be, will have massive shoes to fill with the departure of Dillabaugh. I wish 'Dilly' all the best! During the 2003-2004 Memorial Cup winning season, the Kelowna Rockets iced a team with three 16 year-old's. Kevin Reinholt (pictured right) was joined by Kyle Cumiskey and Brent Howarth. Reinholt was the Rockets first round pick from the 2002 WHL bantam draft. Call it bad timing, but Reinholt entered his rookie season in the WHL playing on a solid d-core that included the likes of Josh Gorges, Shea Weber, Brett Palin, Mike Card and Darren Deschamps. Reinholt would play just 32 games that season and none in the playoffs or the Memorial Cup. The lack of playing time that year may have stunted his growth as a player. 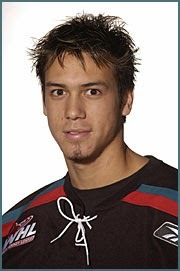 The Toefield Alberta product would win a Memorial Cup title in his first of three seasons with the Rockets before eventually being traded to the Calgary Hitmen in the 2006-07 season. Now 27, Reinholt is living in Sherwood Park, Alberta where he is a project manager in the construction industry. Reinholt is due to marry his fiance Anna on September 27th. While no longer playing the game of hockey, Reinholt tells me he plays competitive softball and big game hunts in his spare time. The Kelowna Rockets 2003-2004 Memorial Cup championship team will be inducted into the BC Hockey Hall of Fame this Friday. I thought it would be interesting this week to look at where some of the players that season are now hanging their hats. Let's look back at forward Chris Ray, who was a fresh face on the Rockets roster that season. What a rookie season for Chris Ray. 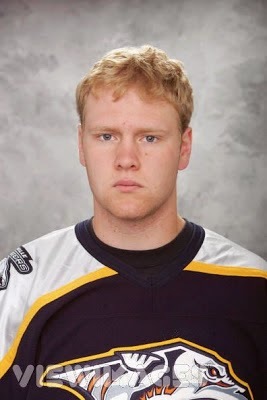 In 2003-2004, the West Kelowna product was playing for his home town team as a 17 year-old. Ray would play in 54 games that season collecting just five goals. Despite the modest totals, Ray would play four full seasons with the Rockets including the 2006-2007 campaign when he was named the team captain. Following his WHL career, the well spoken forward would spend five years at the University of Waterloo. What is Chris Ray up to now? The 28 year-old is a father of a three year old boy (London) and a 15 month old daughter (Matilda). Ray works in Vernon but lives in Kelowna as an Environmental Scientist. Next week the Kelowna Rockets 2004 Memorial Cup winning team will be inducted into the BC Hockey Hall of Fame. The ceremony is a week from today in Penticton (the site of the BCHHF) and I wouldn't miss it for the world. I had the pleasure of calling that memorable moment in May of 2004 when the Rockets earned a 2-1 win over the Gatineau Olympiques. I've been invited on the team bus as many of the coaches and players from that squad head down - in mass - for the special night. It should be an enjoyable 40 minute ride down to Penticton with former coaches Marc Habscheid and Jeff Truitt. It will be odd though, seeing Shea Weber and Josh Gorges sitting at the back of the bus. They didn't look out of place back in 2004, but fast forward 10 years and these two integral pieces of the Rockets success that season are now making big money and making solid careers at the NHL level. They could drive their own limos to the event. The Rockets social and auction Thursday night at the Eldorado was a massive success. Close to 20 grand was raised for the Kelowna General Hospital. One of the new features of the social evening, which is held a day in advance of the alumni golf tournament, was the auctioning off of several players. The auction allows fans to play with the likes of NHLers Shea Weber, Josh Gorges, Jamie Benn and Tyson Barrie. This year the alumni hockey game, which is traditionally held on a Sunday has been cancelled. The game was called off with a lack of players being available. I can see the game being scrapped all together. I think if you can get alumni together for two days (Thursday and Friday) it is more workable in every ones schedule rather than the four days (Thursday-Friday-Saturday-Sunday) when the alumni hockey game is part of the puzzle. The fans won't like it, but if the alumni hockey game can't attract the bigger names that once wore a Rockets jersey, is it worth having it? Will people want to come out to watch if Weber, Myers, Schenn and Gorges don't play? My gut says Victoria. My heart says Red Deer. It is a three horse race to see which WHL centre hosts the 2016 Memorial Cup. Vancouver, Red Deer and Victoria are the three vying for the 10 day tournament. All three have great buildings to host the on-ice portion of the event with the Giants having the leg up on the other two when it comes to a larger venue. The bigger building with more seats means more $$$! But is it all about money? Sadly, in most cases it is. Somehow that needs to change. The Memorial Cup has to be profitable, but the event needs to be attainable for those who want to host it... big or small. In this case, I think Red Deer deserves to host 2016. Why? Because they have made previous bids and have lost. That and Red Deer has never hosted. I like Victoria as a second option, but they are new to the process and would be a good fit down the road in 2019. Vancouver hosted in 2007, which was only 8 years ago, so I think it's far too early to go back there. Saskatoon (2013), Brandon (2010), Vancouver (2007), Kelowna (2004), Regina (2001) and Spokane (1998) are the last six WHL cities to host the MC. Simon Ferguson is back in the game. The Kelowna Rockets alumni, who retired two seasons ago after a short stint in Europe, is the new head coach of the Okanagan Rockets. Ferguson is an interesting choice for the defending BCMMHL champions. There was so much talk about Tim Hunter being the front runner for the Vancouver Giants head coaching vacancy; one would have concluded the former NHL enforcer would have been the choice to guide the G-Men this season. That wasn't the case. The Giants hired Troy Ward instead so Hunter, who was a bridesmaid in the coaching sweepstakes in Vancouver, took the head coaching duties with the Moose Jaw Warriors instead. In listening to an interview with Hunter on Team 1040, it sure sounds as though he was the Giants top choice but the two sides couldn't come to an agreement on either money or length of contract. It blows me away that Moose Jaw would have offered Hunter a better deal. If that is indeed true, a high five to the Warriors for outbidding a large market franchise. Mitch Callahan has signed a one year deal with the Detroit Red Wings. The former Kelowna Rockets antagonizer will have to play well this season in order to get a longer term contract from the NHL team. Honestly, I was a bit surprised it was only a one year deal for the 22 year-old Callahan. Last season in the AHL, Callahan scored 26 goals and was a +23. 'Cally' also made his NHL debut with the Red Wings on March 25th against Columbus. Callahan was drafted by the Red Wings in the sixth round (180th overall) in the 2009 NHL Entry Draft. Congrats to Brendan Batchelor for being named the full time radio voice of the Vancouver Giants. Batchelor did road games for the G-Men last season and the occasional home game. It only makes sense to have one consistent voice calling the games both home and away rather than three announcers wanting a piece of the 36 home dates that are available. Bryan Maxwell is back in the WHL. 'Maxy' has joined the Lethbridge Hurricanes as an assistant coach. I haven't had many conversations with Maxwell over the years, but when I have his deep voice always stands out. It is raspy and low. I am sure a cigarette habit has something to do with that. One thing about Maxwell that also stands out is, while looking intimidating, he always has a friendly smile on his face. Jordon Cooke is making the most of his opportunity to impress the Los Angeles Kings. The 21 year-old Kelowna Rockets goaltender is attending Kings prospects camp this week after receiving an invite from the Stanley Cup champions. Kings goaltending coach Bill Ranford says the CHL goaltender of the year deserves a chance to prove himself at an NHL camp. "With what he has done the last two seasons in Kelowna, we had a spot in our camp open and just I felt like he had earned it to get a look and have an experience of going through a camp with an NHL team." Cooke is one of the smaller goaltenders at Kings camp, but Ranford says he has made the adjustments to make himself appear bigger. "I am a little bit taller than he is. I talked about what I had to do throughout my career in the aspects of reading releases and trying to hold my feet a little bit longer. And that's kind of the approach I am taking with him because every other aspect of his game is strong", Ranford added. It appears the Minnesota Wild have had a change of heart. So has Cody Almond. The Kelowna Rockets alumni has signed a one year contract with the NHL team after spending a few years playing in the Swiss Elite League. Almond was essentially forced overseas back in 2012 when the Wild didn't offer him a contract. Two years later, the 24 year-old is back in the NHL. Almond was drafted by the Wild in the 5th round in 2007 and played a total of 25 games with them in 2009-2010, 2010-2011 and most recently 10 games in 2011-2012. Almond's off season home is right here in Kelowna. What is the next step in Kyle Beach's hockey career? The Kelowna resident did not receive a qualifying offer from the NHL New York Rangers at the end of the month meaning the 24 year-old is a free agent. Last season, Beach split time between playing in Sweden and with the Hartford Wolf Pack, the Rangers AHL affiliate. It is hard to imagine that the 1st round pick of the Chicago Black Hawks has not played one NHL game. Beach was taken 11th overall in 2008. Beach is getting married this summer. Myles Bell is off to New Jersey Devils prospects camp today. The camp officially begins Monday. The Kelowna Rockets leading scorer the last two seasons is without a contract and must sign one in order to play in the Devils organization this upcoming season. Bell is unable to return to junior after playing as an overage this past season. Tyrell Goulbourne is at Philadelphia Flyers prospects camp this week. Now 20, Goulbourne will want to make great strides this week by showing the organization that he was worthy of a third round pick in the 2013 NHL draft. Goulbourne ideally is looking for a pro contract from the Flyers. If he doesn't get one, he is a sure bet to return to the Kelowna Rockets this season competing for one of three overage spots with Colton Heffley, Cole Martin and Carter Rigby. You may have missed it, because I did. Ex-Kelowna Rockets forward/defenceman Brandon McMillan is going to salary arbitration with the Phoenix Coyotes. McMillan's arbitration hearing is July 29th. Under a two way contract, the WHL champion from 2009 was paid 709,500 at the NHL level. Another transaction that slipped through the cracks last week was Blake Comeau signing a one year deal with the Pittsburgh Penguins. The 2nd round pick of the Islanders in 2004, Comeau has played 422 NHL games with the Islanders, Flames and Columbus Blue Jackets. Troy Bodie signed a one year deal with the Leafs on July 3rd. 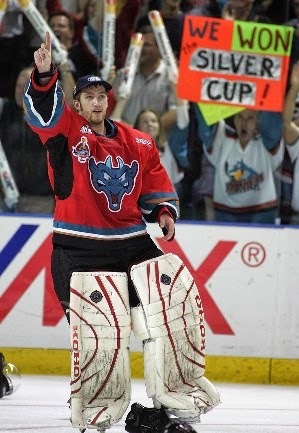 Bodie was a member of the Kelowna Rockets MC winning team in 2004. The Kelowna Rockets second round pick from the 2013 WHL Bantam Draft will indeed attend training camp this fall. Cal Foote, the 15 year-old (has late December birth date) son of ex-NHL'er Adam Foote will be in Kelowna in late August looking at earning a roster spot. I texted with Adam and he confirmed his son will be in the Okanagan. In case you are wondering, Adam Foote will be watching eagerly in the stands. The Washington Capitals have been putting Madison Bowey to work in more ways than one at prospects camp this week. The Kelowna Rockets captain is writing a blog. We are 72 days away from the Rockets opening the 20014-2015 WHL regular season. It will mark the franchises 20th season in Kelowna. Are you excited about joining the Rockets? "I think joining the Kelowna Rockets is so beneficial for my development to ultimately get to where I want to be, like every coach, to the NHL". This is something you really wanted to do, be behind the Rockets bench as a coach? "I have had conversations with other teams. I have always put my name out to let people know that I am interested. I am a Western Hockey League guy through and through. 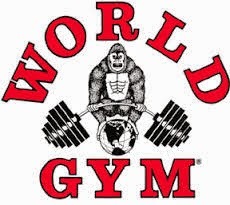 This is where I want to be. Kelowna is my home. The Rockets are my team. I bleed Rockets colours." How about working with Dan Lambert? "We are both honest, brutally honest I think. If we have something on our mind we are going to speak it. It should be a very, very good friendship and I am thrilled to learn from a coach that won't be in this league very long". Are you going to be the good cop and Lambert is going to be the bad cop as your role as an assistant coach? "No. No, I don't think I can. I have been successful because I am passionate about coaching. I am passionate about learning. I am passionate about winning. Am I going to be take losses well? No! If you are, you are content and I am not content. By no means am I going to be that pushover who is not going to hold our guys accountable. I can have fun but I am going to be firm. I think that is the same message we both want to send". How about the defensive core you will be overseeing? "The ground work that has been laid is fantastic. I am going to tweak but this is a special group. I am looking forward to it". 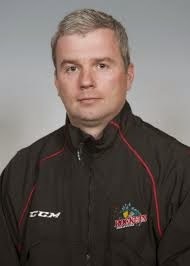 The Kelowna Rockets have hired a former player as Dan Lambert's assistant coach. 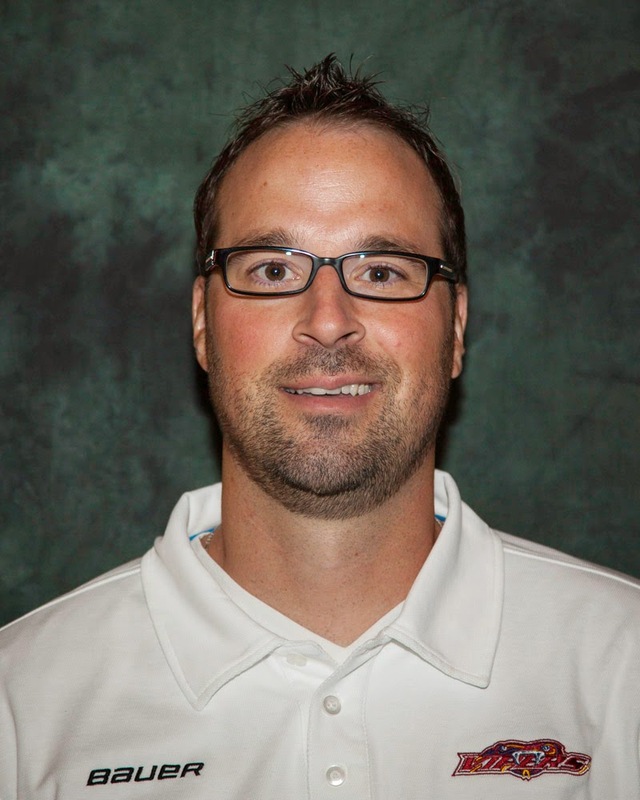 Kris Mallette (Ma-let) will be behind the bench running the teams defensive core when the 2014-2015 season begins. 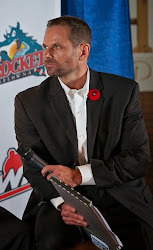 The 35 year-old played parts of three seasons with the Rockets from 1996 until 1999 before being traded to the Moose Jaw Warriors. Mallette was a third round pick of the Philadelphia Flyers in 1997. 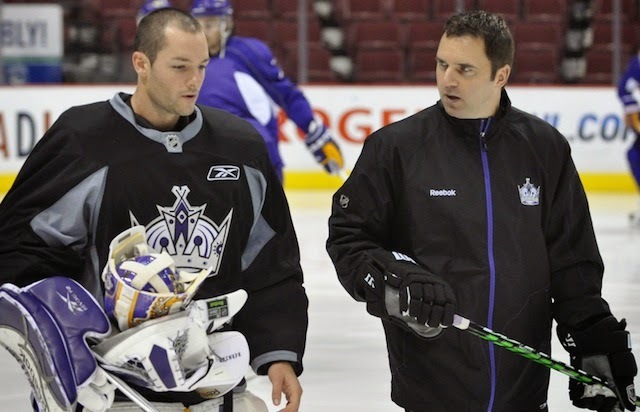 Mallette was most recently an associate coach with the BCHL's Vernon Vipers.